BookShelf Magazine is as a handy print resource for librarians, educators, media specialists, and more! 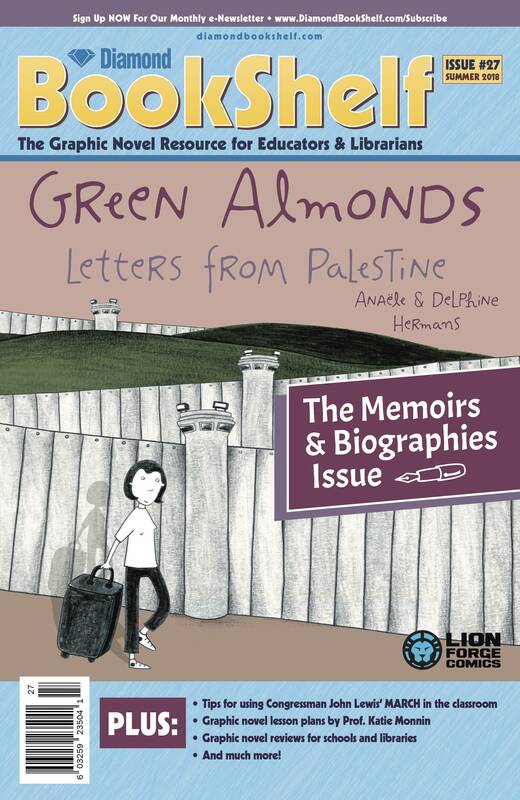 Published by Diamond, this comic-sized magazine is designed to complement the excellent website - www.diamondbookshelf.com - which promotes comic books and graphic novels as educational tools. Whether you are a teacher, educator, or reading specialist seeking to incorporate comics or graphic novels into the classroom; or a librarian or media specialist looking for assistance with graphic novel collection development, BookShelf will provide you with comprehensive information on the latest graphic novel educational news, interviews with leading creators and library/school professionals, new release information formatted specifically for librarians/media specialists, along with useful resources such as GN reviews, core lists and school lesson plans. Here's what you'll find in print edition of BookShelf #28: · Spotlight on media tie-in graphic novels! · Graphic Novel Lesson Plans by Katie Monnin · Graphic Novel Reviews for Schools & Libraries · And more!.